London (CNN) She’s a globally-renowned feminist who has never shied away from controversial topics, and at a recent event in Nigeria, author Chimamanda Ngozi Adichie referenced Jesus’ treatment of women as proof he saw them as equals. “When you use the bible to justify what, in my opinion, is injustice,” the author hit back, “let’s look at how Jesus treated women. Jesus came from a society that was very patriarchal. The Jewish people at that time did not give any regard to women, like many cultures all over the world,” she said. “Jesus is making a point there,” she added at the event held on Monday to announce the relaunch of her workshop for aspiring writers. Adichie, 41, was born in Nigeria and is a respected international bestselling author. The book was later adapted into a movie starring Thandie Newton and Chiwetel Ejiofor. The author has become a global authority on gender inequality. Her viral 2013 TEDxEuston talk, “We Should All Be Feminists,” was turned into a book and given to every 16-year-old in Sweden. Beyoncé also sampled it on her “Lemonade” album, and fashion house Dior used it for a series of slogan T-shirts. She is also no stranger to controversy. Comments she made about trans women during an interview on a British news channel last year caused an immediate backlash. She later posted a response on her Facebook page, days later to clarify her position. “We can oppose violence against trans women while also acknowledging differences. Because we should be able to acknowledge differences while also being supportive,” she wrote. She mentioned similarities between the campaign for racial equality and gender. 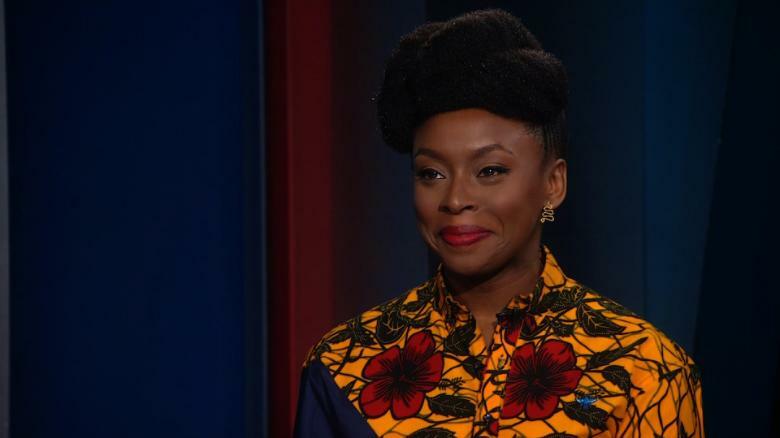 A spokeswoman for Adichie declined to comment on her latest remarks.